A visitor discovers your business through one of your marketing channels: your website, blog, or social media page. They navigate to your website’s landing page after encountering your Call-to-Action (CTA). They find your offer appealing and decide to fill the form on your landing page and that’s a complete, successful lead generation cycle. That person who has indicated interest in your business, product or service in some way is what we refer to as a lead. And the process of attracting and converting people or prospects into leads is lead generation. In essence, lead generation describes the marketing activities that stimulate and capture interest in a product or service in a gradual manner, for purposes of creating a sales pipeline. In this kind of sales pipeline, it’s these prospects that originally initiate the relationship with you by organically showing interest in your business. This makes it more natural and easier for them to want to buy from you at some point; as opposed to when you, the business, is the one initiating the relationship with them. Lead generation is, therefore, quite an effective tool in the larger inbound marketing practice. But it doesn’t happen on its own; you don’t find leads on a silver platter. It takes campaigns and strategy to attract leads to your business. Think about lead generation as the process of creating a self-directed buyer. It revolves around the techniques used to develop and qualify potential leads from visitors who browse the internet and transforming them into sales as you push cold traffic through your marketing funnel to get visitors to inquire about your services or products. An incentive is anything that will capture the interest of your target audiences. This lead capture tool can be a blog, video, competitor analysis, a sample industry report, white paper; you name it. It’s a good idea to offer an incentive that directly relates to your campaign. If you’re building leads for a digital consultancy service, for instance, a how-to article on digital marketing would be a perfect incentive. The secret is to create something that people need. Today, compelling content is king. Once you’ve created compelling content, you’ll be able to use it to convert visitors into leads. Offer it free of charge. You must give something before you ask for something. Direct call-to-action prompts like “Sign up here” have a bad rap today. Call-to-action in today’s lead generation practice is a subtle prompt to have the visitor navigate to your landing page. An effective method is to have a hyperlink built into text that subtly promises something more. The landing page incorporates your incentive. The key element of this landing page is, it delivers the promise that your lead source made. The objective of this landing page is to capture a visitor’s information. You don’t just go ahead and ask them for it; the “give-something-to-get-something” technique applies here. Simply use a mutually-beneficial opt-in method to acquire their information. This opt-in tool is referred to as the lead magnet. Offer value upfront and make a promise to deliver on it. For instance you could say “Get 1 Cutting Edge Marketing Technique Daily To Boost Your Conversions by 50%” or “Get Our Free 10 Step Video SEO Course To Outrank Competitors Within 6 Months”. Lead scoring involved using your lead magnet. There’s often a form on your landing page where you want the visitor to fill in their details. As it is, most visitors are willing to neglect your attempts to capture their information and disappear to never be heard from again. A lead magnet helps you get around that situation. A lead magnet is anything that provides (irresistible) value for your visitor(s) in exchange for their contact information. Examples of lead magnets include subscriptions and email opt-ins, as well as more recent signals like social media follows. All these tools help you fish for some sign of interest in the visitor(s). In essence, you’ll receive permission from the visitor to follow up on them, qualifying them deep into your sales funnel. Look at Algocentric Digital Consultancy, for example. We collect 3 pieces of information from prospective leads in exchange for a free audit and access to case studies. Remember that the value you offer has to always heavily outweigh the ask. These tools you offer free of charge effectively confine your visitors in your offering, and allow you to not only obtain their contacts or email address but to also educate them about your business. You can carry out various campaigns for lead generation across various digital channels. With most people today spending most of their time on the various social networks, Facebook, Twitter, Instagram, Snapchat, LinkedIn, just to mention a few – have become the go-to lead generation platforms. 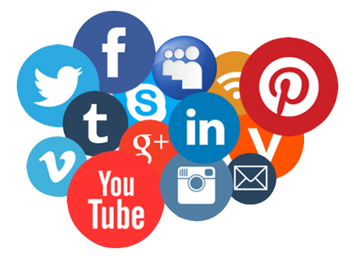 With these many platforms, it is important to choose and use the most effective one for your business. This means you need to understand what type of demographic you’re after and figure out which platforms they’re on to put your message in front of them. Using Facebook advertising services to reach your audience effectively at a reasonable cost to your business. For lead generation purposes, you may want to look into Facebook advertising services. The network boasts of well over 1 740 000 000 active mobile users making it an unparalleled source for mobile lead generation. “Mobile” because smartphones are presently the most popular way to browse the internet. The mobile Facebook advertising service (lead ads) resemble regular posts but feature a “Sponsored” label at the top. The lead ads can be a cost-effective way to attract potential client or customers when you include an image or a video in the ads. Users can be directed straight to your website right after they’re signed in. More importantly, clicking the CTA button on Facebook lead ads immediately launches the form with pre-filled information. Your job is only to ensure that your ad piece (image, text and/or video) provides customers with the information they need to proceed. This is not the only advantage of Facebook advertising services. Beside the numbers and high daily and monthly engagement levels, Facebook has powerful audience selection tools that you can rely on to target the people who are right for your business. Utilizing Facebook’s advertising services allows you to use what you already know about your customers including their interests, demographics and behaviors to connect directly with them. You can also use these data to target people similar to your existing customers and turn them into leads. Let’s discuss this further. A Custom Audience is an audience to Facebook advertising services that you create from an existing list of customers. 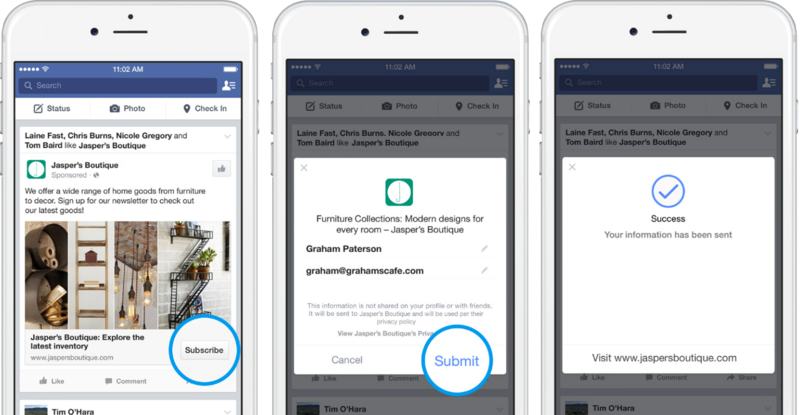 Facebook lets you target specific people with its advertising service. This kind of targeting can help you maximize the impact of your ad campaigns by marketing directly to a specific section of your B2B market. The Custom Audiences feature enables you to connect with your existing contacts on this favorite social network. This can reinforce your brand and allow you to increase customer loyalty, order frequency, and lifetime value. Alternatively, you can use the custom audiences feature to increase the efficiency of your campaigns. Exclude your existing customer list in your campaign so as to avoid wasted clicks. For instance, if you are offering a free demo to new users whom you wish to turn into leads, it would be pointless to include your already loyal customers in the list. So you’ll want to leave them out. You can do that with custom audiences. In addition, chances are that you have people in your current list of customers who have not liked your page on Facebook. Those who do not follow you don’t normally see what you post, so you may not engage them. With Facebook custom audiences you can market to these people without them necessarily having to like your page. All you have to do is group them as the custom audience and be able to engage them. Go to Campaigns and find the Audiences button listed under it. Click on the tab and select Custom Audiences, then Customer List. 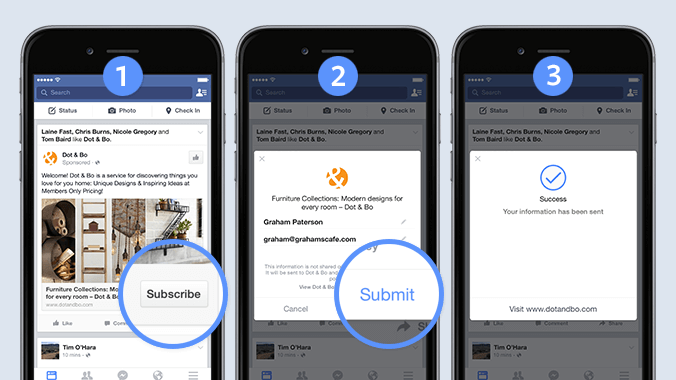 This function lets you upload to Facebook a CSV or TXT file list of subscriber/purchaser emails, phone numbers or Facebook user IDs that you’ve gathered. Facebook then matches these data with information on user profiles, allowing you to target specific sets of people. If you intend to exclude your existing customer list from a particular campaign, consider cross-matching this list with your own list of current customers to be sure they are not the same. You can create a Custom Audience based on your website visitors, and even based on specific pages they visit on your site or the actions they take within your web pages, apps or games. Depending on your objectives, you can choose to target the list, or exclude the whole of it; or simply target specific subsets of the list as discussed above. Examples of options include targeting your existing customers who earn a certain amount of money per year, work in a specific job function, or live in a particular locality. You could as well target people who have previously visited your company’s blog with some kind of offers. These are people who already showed interest in your business but weren’t just willing to convert yet. Having a Facebook page normally lets you capture the vast market on Facebook, but limits your audience reach to those who follow you. Facebook advertising services, on the other hand, allow you to reach prospects beyond your current followers. Depending on your audience targeting strategy, Facebook will let your ads appear alongside people’s newsfeed or as sponsored content. This way, people whom you have never interacted with can interact with your ads. With a good budget for your ads, you can be sure to get a decent audience coverage outside your existing Facebook Page audience. For this strategy to be successful, research your content well so you may determine more precisely what your target market is interested in. Then be sure to create clear and precise messages with irresistible visuals that these audiences can pick with a single sweep of their eyes. Lookalike audiences mean that you can mirror your Facebook fan base even if you do not have your own email or contact list. The service lets you expand your reach beyond your current market grip while still targeting people with highly specific profiles – essentially because you create audiences that share the same characteristics as your own targets. How to create a Lookalike Audience without your own contact list? Suppose your current Facebook following isn’t big enough, and you don’t have a list of contacts, you can use a tracking pixel to create a Lookalike Audience.This would be a Website Custom Audience that mirrors your current audiences. Start by deciding which type of audience you want to replicate and develop, the pixel approach lets you make that audience larger or smaller.Making the audience smaller would mean it becomes more specific and akin to your original audience. Facebook helps you find the top 1 percent of users who have similar traits in the country you target, at the most similar level. Otherwise, Facebook will display your ad pieces to the 10 percent of users in the country you target, who are most like your current target audience. You don’t want to run wasteful ads. And with Facebook advertising services, you can easily eliminate wasteful campaigns given you employ the correct strategy. The Facebook Pixel lets you track your lead conversion metric and know which parts need adjusting. You’ll know exactly which campaigns are working and which ones are not. Simply create a conversion pixel on your Facebook Ads Manager and insert it in the page where your users are sent after completing the desired conversion, or the thank you page. Navigate to the Facebook Pixel tab in your Facebook Ads Manager and click on the Create a Pixel button. Name your pixel by choosing a name that best represents your business. You can have only one pixel for each ad account. Ensure you accept the terms by checking the box before you click the Create Pixel prompt. How much your business has to pay in order to attain a conversion is generally significantly lower when you use Facebook advertising services, rather than other platforms like LinkedIn or Google AdWords in some cases. Every B2B marketer wants to get maximum engagement on every status update they post, and subsequently, the highest conversion on every ad posted. One way to make both happen; to ensure you run cost effective campaigns is by thoroughly testing your ads before pouring out all your ad spend. Facebook makes it easier for you to do this. It has split testing or A/B testing that lets you determine the type of headline, image, call-to-action, text copy or a combination of these factors that will best generate the desired impact. With AB testing, you’ll know how to target your ads best and how to target your intended audience accurately. Then you can cut away wasteful campaigns and focus on those that create the most impact at the lowest cost. Start by deciding on the objective that you want to achieve with your ad campaigns. Once you have a clear objective well mapped out, proceed to decide on the metrics you want to test across your multiple ad sets. For every split test, you can have anywhere between 2 and 5 ad sets depending on what you intend to achieve. It is a good idea however to limit the number of ad sets to a minimum; a smaller number of sets is better. Finally, create a single ad and spread it into the various sets, varying the test factor from one ad set to the other. Then run the ad. Once this is done, measure the key metrics, mainly click-through-rates, impressions and conversion rates. Check to see which set performs best with the same budget. The ad set with the maximum number of conversions or click-through-rates will be your winner. Normally, the best performing ad will generate the most conversions on the same budget making it economical to run the ad. Consider using this successful ad to retarget those who abandoned their carts on your online store and your other lost prospects overall. By retargeting your prospects effectively, you can encourage a good number of prospective customers to return to your site and qualify them deep into your sales funnel. These powerful targeting options Facebook offers can help you market more effectively and grow your business at an exponentially faster rate. If you’re interested to learn more how we’ve done this for other clients, you can check out our case studies, social media marketing page or contact us for a free consultation.